It was dark outside when the alarm clock went off. We got out of bed, took a quick shower and were out the door within 15 minutes. The highway was already showing signs of heavy traffic, when suddenly 5 miles from the ground of the International Balloon Fiesta, traffic stopped. We started crawling our way through multiple lanes of traffic at 10 miles an hour. Thankfully we gave ourselves plenty of time, and when we finally made it to the parking lot, we were able to witness the ascension of the American Flag balloon. The International Balloon Fiesta is an annual festival of hot air balloons that takes place every October in Albuquerque, NM. 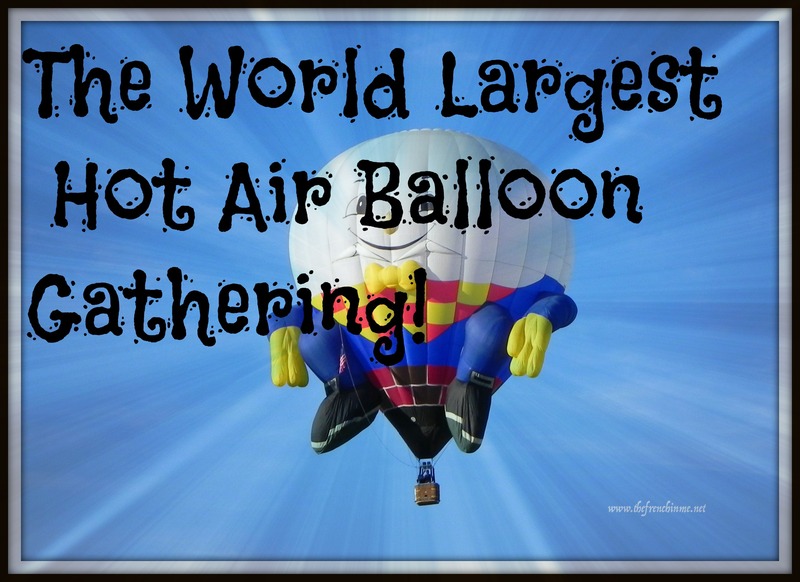 It is the largest gathering of balloon and balloonists in the world. Over 500 balloons participate in the event. This year the festival is being held from October 1st to October 9th, 2016. Some events can draw up to 80,000 visitors. The Mass Ascension is one of the most spectacular display of sound and color where all participating balloons are launch in two waves led by a balloon flying the American Flag to the strains of the Star Spangled Banner. The Mass Ascension happens on Saturday, October 1st, Sunday, October 2nd and Saturday, October 8th at 7:00 am. If you are planning to spend the day at the festival, wear a layer of clothing. Mornings are usually cold at this time of the year, and it warms up nicely during the day. Albuquerque seats at 5,312 feet above sea level with cool nights and warm days. Wear comfortable shoes, you will walk a lot. The air is dry, so stay hydrated. Remember to bring a camera, your phone may do the trick but there will be plenty of picture opportunities where you will wish to have a good versatile camera. Get up early, and give yourself plenty of time, and if you are concern about finding parking close to the grounds, there are plenty of Park and Ride options with shuttle service. General Admission cost: $10.00 per session, General Parking is $15 per car, Park & Ride is $15 per adult including admission to the park. Discounts apply. Check the Balloon Fiesta site for additional information. We are lucky to have friends in the city, but if you wonder where to stay in Albuquerque during the event, no worries, there are plenty of hotels and vacation rentals available. Next Post Historic Route 66 or what’s left of it! Thank you Kate, it was fun. Cannot wait to go back.